Style name: Karisma. 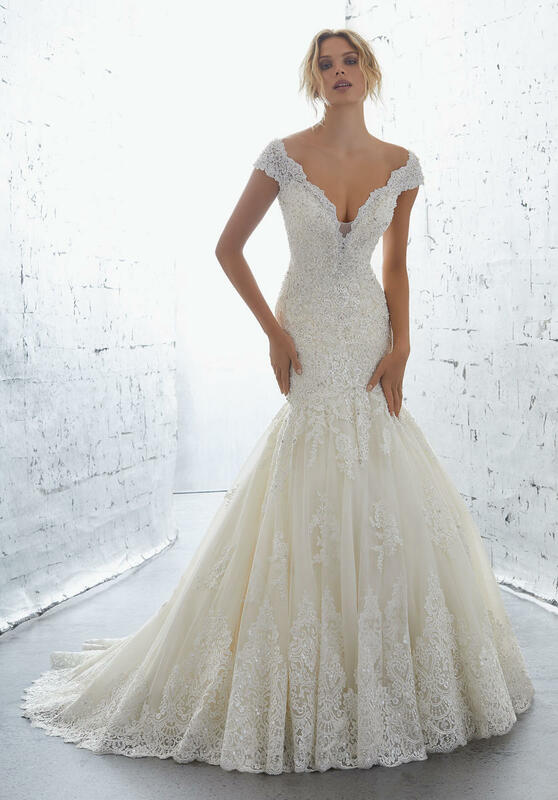 Crystal and Beaded, Alecon Lace Appliqu�s on Net Mermaid Gown with Wide Scalloped Hemline. Available in Three Lengths: 55", 58", 61"